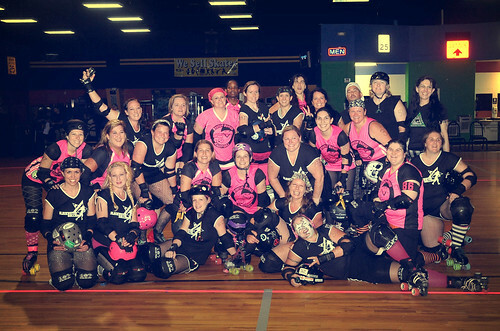 Blackwater might not of come home with a victory on Sunday but was in derby heaven playing the NRV Roller Girls. (“We’re number two! We’re number two!”) It was obvious that both teams gave it their all out there on the rink and have the bruises to show for it! 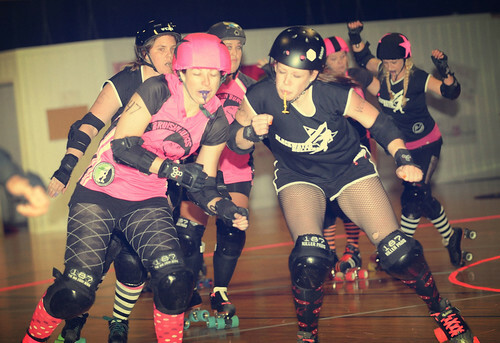 We would like to give a special virtual thank you to Terminal Velocity of the East Coast Devastation Roller Derby who traveled many many hours to help coach our team. 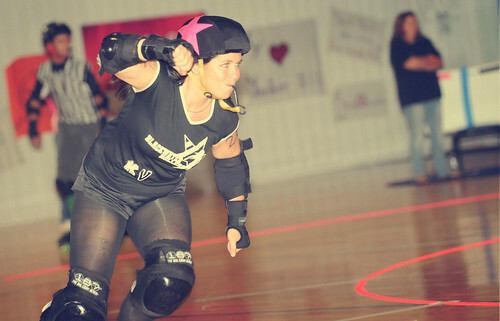 That girl is the total derby package! If you are ever in the DC area, check out this co-ed team. We will be playing them in on our own rink in August so mark your calendars now! 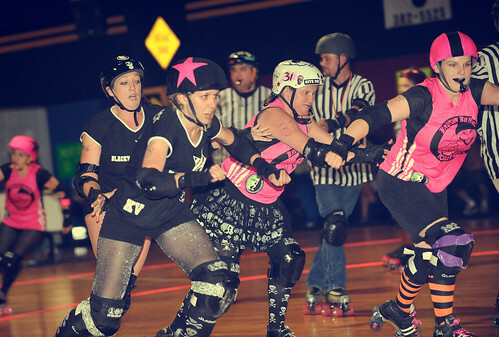 Congrats also to MVPs Brooklyn BasHer and Betty Lockdown for being the shining stars of the bout. (And little miss Chatterbox on NRV for some memorable, high scoring jams.) We have one more away bout before we are back to our home rink. More info to come!!! Until then, derby on!